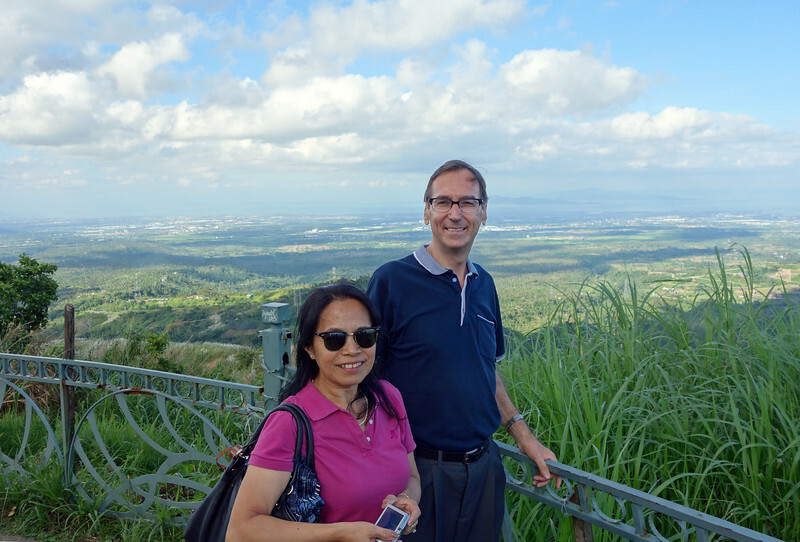 On our recent trip to Asia we had the opportunity to visit our good friends Ralph and Aida in Manila, Philippines. Our trip was too short, but thanks to our excellent hosts we were able to get a good introduction to this fascinating and complex city. Metro Manila has a population of around 12 million — mostly poor, a few rich, and not many in between. 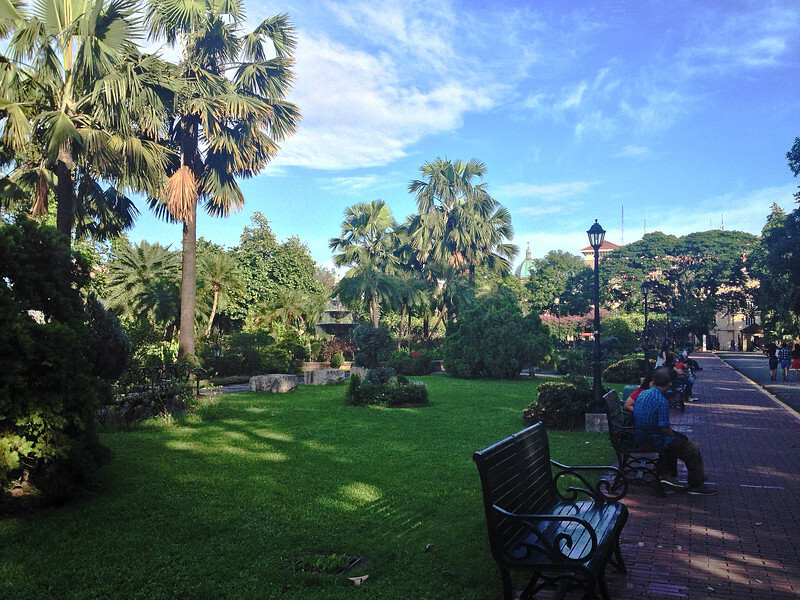 There are very friendly people, colorful jeepneys, beautiful parks and opulent shopping malls. There are also vast, densely-populated slums bordering the upscale, gated communities. A view of Makati, the financial center of the Philippines, and one of the cities that makes up Metro Manila. Jeepneys are the Philippines most popular form of transportation. They were originally made from leftover U.S. military jeeps after the Second World War. Unique and decorated with lots of color and chrome, they often include Christian words and images, reflecting the interests and beliefs of the owner. The Jeepney runs a set route which is written on the side. The colorful Jeepney is Manila’s most iconic form of mass transit. 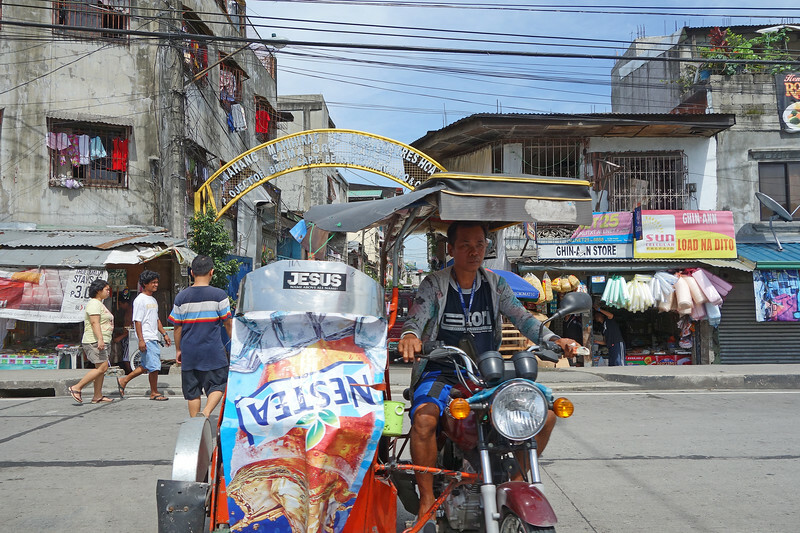 While the Jeepney runs a set route like a bus, a motorized “Tricycle” transports individual passengers (or sometimes two or three or four). 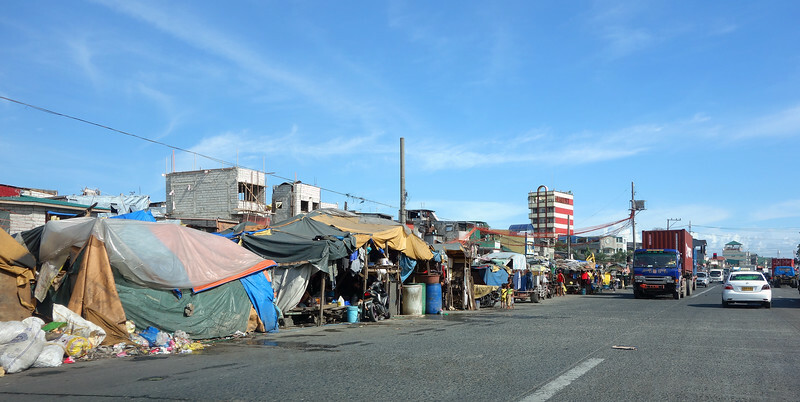 This was my first visit to a city with such overwhelming areas of poverty, and even though we knew this beforehand, it was still shocking and very sad. People living and children playing in homes dangerously close to a major road. Sifting through piles of garbage for items to recycle is a way many people in the slums make money. 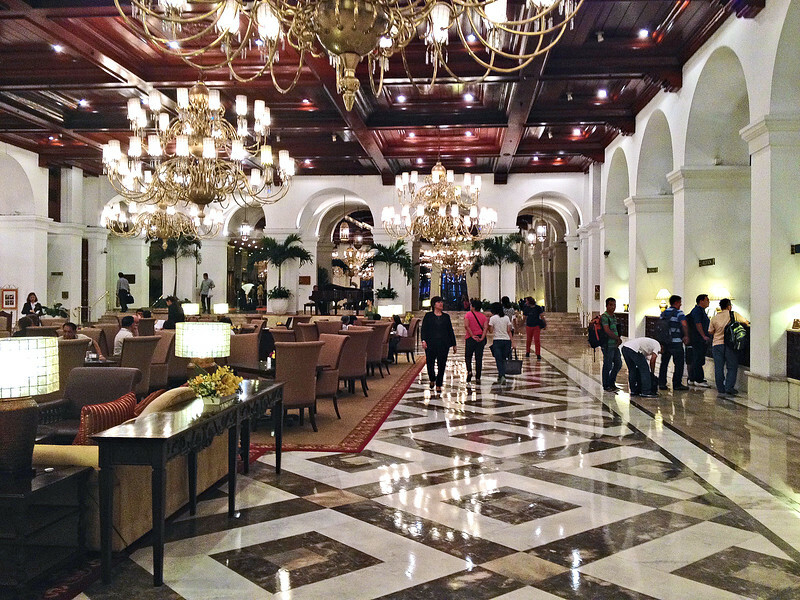 The contrast was even more striking when we stopped by the nearby historic, five-star Manila Hotel. 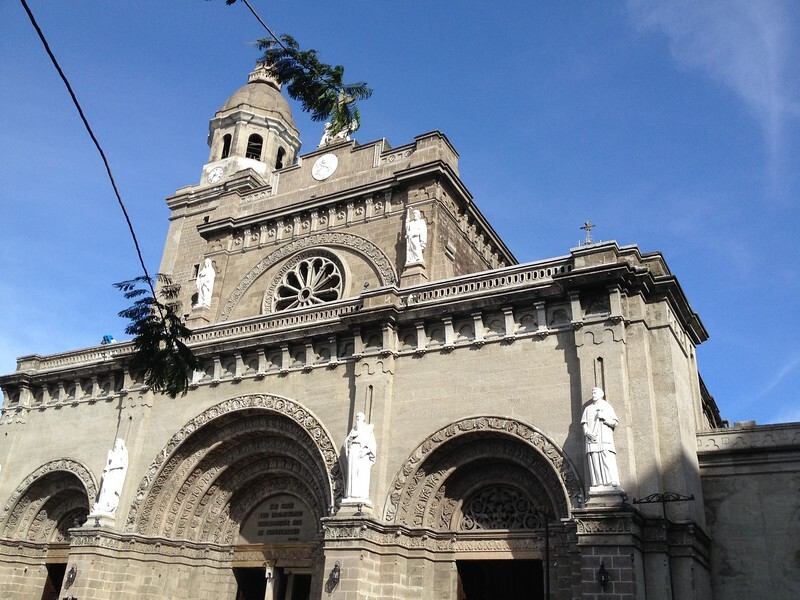 A must see historical sight is Intramuros or the walled city, which is the oldest district in Manila. 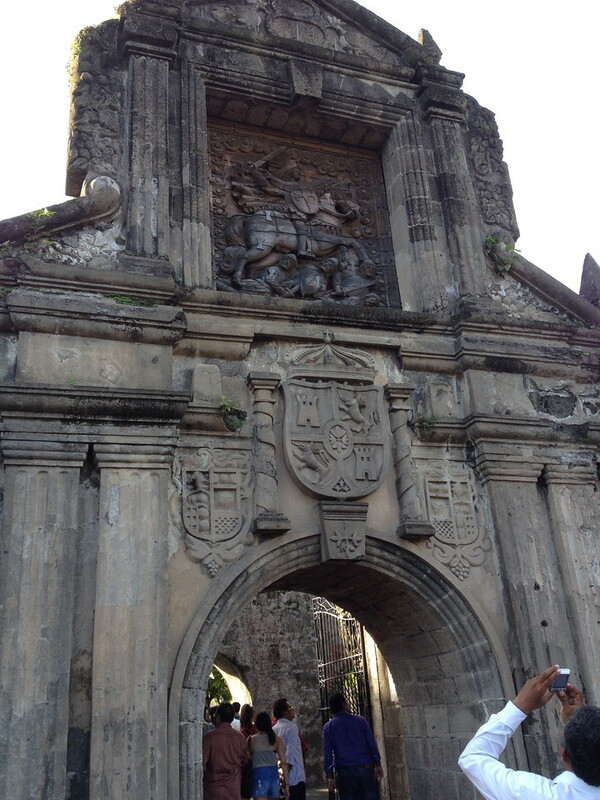 Part of the walled structure is Fort Santiago, a citadel first built by the Spanish. 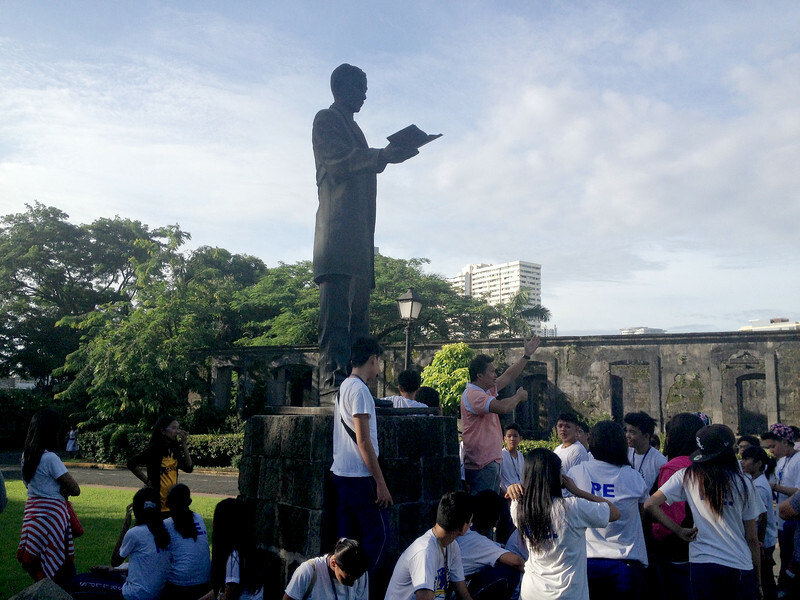 Here we learned about Jose Rizal, the national hero of the Philippines. He was a Filipino nationalist who supported peaceful reform. His martyred execution in 1896 helped end Spanish rule in the Philippines. Men are born equal, naked and without chains. They were not created by God to be enslaved, neither were they endowed with intelligence in order to be misled, nor adorned with reason to be fooled by others. 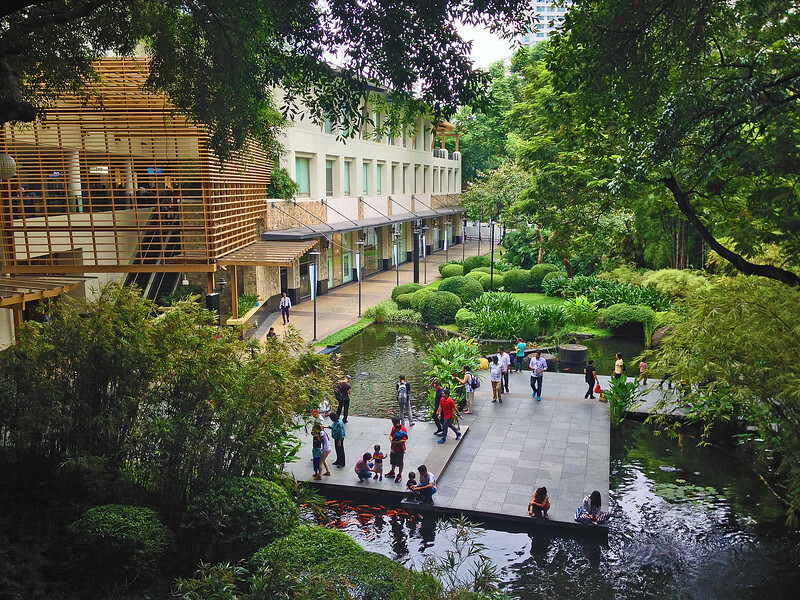 The Greenbelt shopping mall in Makati has hundreds of shops and restaurants in an indoor/outdoor environment. The mall was bustling with mostly Filipino business people and shoppers. But a couple of young girls begging for money reminded us of the poverty a few blocks away. 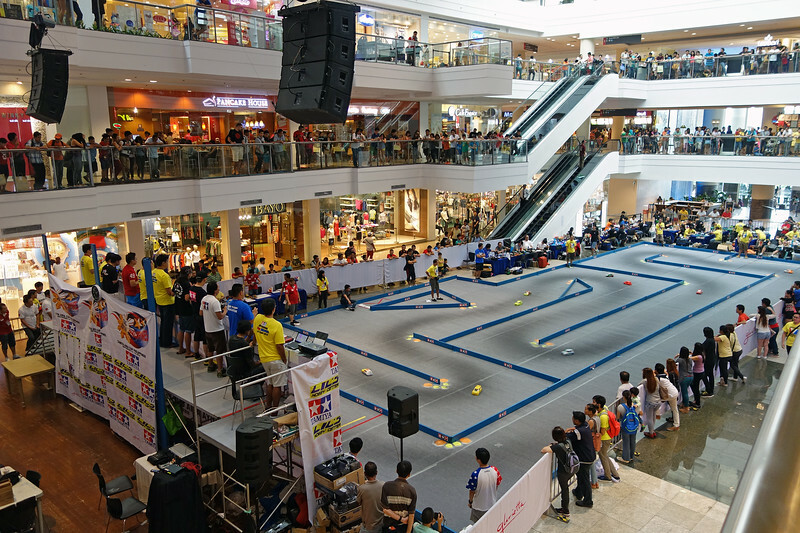 A block away from the Greenbelt is the Glorietta Shopping Mall. The Greenbelt mall is also home to the Ayala Museum, an excellent small museum of Filipino history, art and archaeology. Through dioramas, the history exhibit tells the story of the Philippines from prehistoric times to the recent restoration of democracy. It was a really interesting way to learn more about Jose Rizal and the Philippines struggle for independence. Did you know the United States occupied the Philippines after the Spanish-American War? Thanks to our terrific hosts! In the short time we were in Manila we could only scratch the surface, but we learned enough to know we would be happy to return. I’ve never been to Manila, but this was a helpful introduction. Very interesting post. After my recent trips to Africa and Indonesia I don’t think I can handle the vast differences in wealth that exist in the Philippines Knowing it and seeing it are two different things. If I visit a developing country in the future it will be for a humanitarian purpose. It does look like a beautiful country and your photos are great! Thanks for this wonderful introduction to Manila! Did you love the food? I maintain there should be a Philippino rrestaurant in evey decent city. I enjoyed the food I had there, but realized after we didn’t really try enough local specialties. Next visit! I like pancit and adobo. You are a fast learner in knowing the local dishes of the Philippines :). I’ve only thought of Manila as a place to go to to get to islands for snorkeling but not as a place to stay. I’m not sure I’ve changed my mind – the contrasts are so stark it would be difficult to experience. I hate to engage in a stereotype but the the Philippine people I’ve met around the world all seem to be very nice and calm. Maybe they are that way because they were able to escape the poverty somehow – few of them seem to have been from wealthy families. The Filipinos I’ve met both in Manila, or in other countries have all been very nice people. My husband has been to Manila a few times and found the people to be absolutely lovely. I’m not sure though that I could deal with a city that size but I’d be happy to visit the countryside.Wonderful to have hosts to show you around. We had just a taste of the countryside, but it was beautiful and we would love to see more. 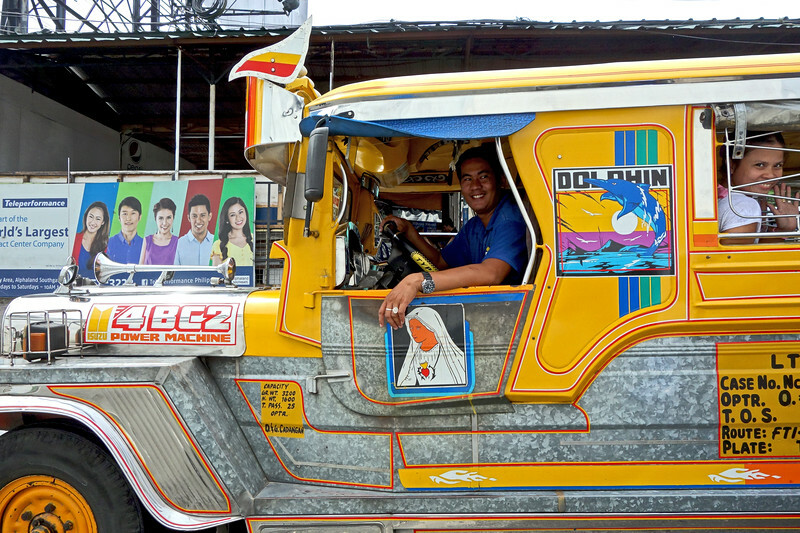 I love your photo of the jeepney and learning about its history – so colorful! I also enjoyed your introduction of Manila which shows so many sides to this city of wealth and poverty. Thanks for sharing. Wow, such striking contrasts. Very nice photos. Very well said, Shelley, and your pictures speak a thousand words! The thing I see in Manila and anywhere else in the country, the poor stricken people still have a smile and are very friendly when you meet them, even though, they live in meager houses and have almost nothing to wear. Like you said it so well, “A Tale of Two Cities”, the few rich and the many poor, not to mention the many very young children who are left on the streets. The saddest thing to see was the vulnerable children. But we noticed the people we met would always smile, even though their life might not be easy. Thanks Ralph! This post touches on the mixed feelings that arise in ourselves when there is such a marked contrast between the haves and the have nots. It’s hard not to feel privilege guilt, but if it causes us to assess our personal values and be inspired to make a meaningful difference, all is not in vain. So true Betsy. And being there was inspiring in so many ways too — seeing the resourcefulness of people, the many schoolchildren in uniforms, friendly smiles. 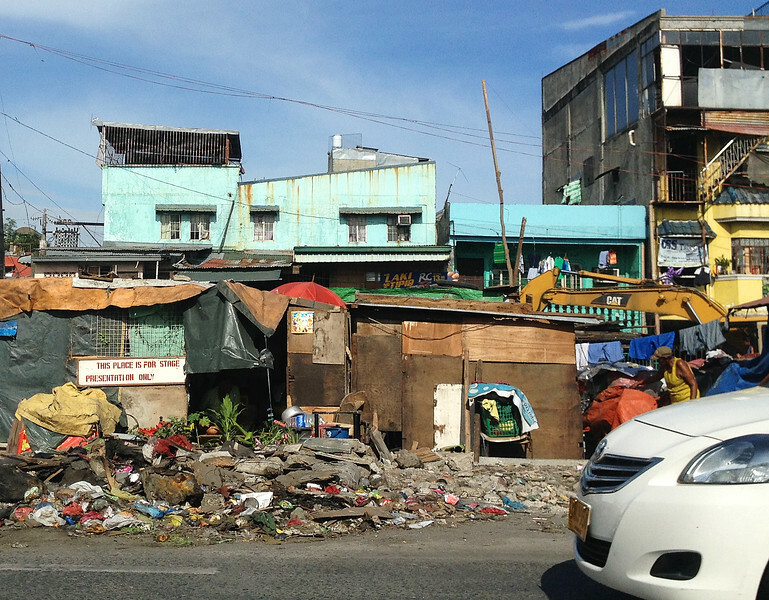 Thanks for a look at both sides of Manila. It sounds much like Guatemala – beauty and culture with huge disparities in income. I have heard so many good things about the Philippines. I can’t wait to go. The contrasts are striking, but unfortunately that’s the way it is in most foreign countries. Even though it was hard to see the poverty, I still enjoyed my visit, and really liked the people I met there. Once outside Manila, the landscape was beautiful, and I would love to go back to see more of the country. 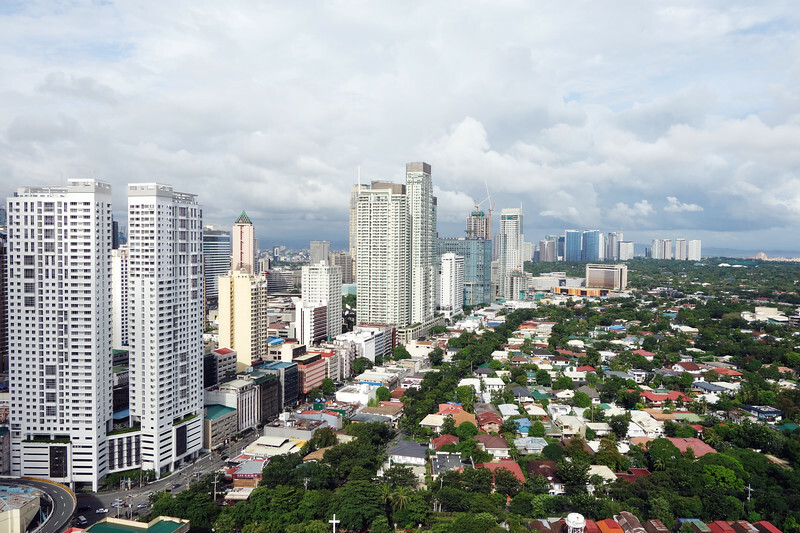 Interesting look at the contrasts of Manila. I think I’d find it hard to see the opulence of the five-star hotel with ramshackle home nearby. This post bought back so many memories of Manila and The Philippines for me. I love how you’ve touched on its many faces – the old, the poverty stricken, the new and the luxurious. Manila is like mercury – you can’t quite put your finger on it. Well said Johanna. It’s a strange feeling to be enjoying a vacation while others are suffering. This is true anywhere in the world but in Manila you can’t ignore it.